I continue to be amazed at Christina’s ability to blog regularly, conjure up charming love stories dripping with sass and get those stories down on paper in record time. She’s a huge talent. 1. Can you talk a little about your background? As a kid, I wanted to be either a lawyer or a teacher, mostly because that’s what people told me I should be. I enjoyed reading and talking back to people in authority, so I guess those were the fields that seemed to fit! I was a nerd in school, and I don’t mean a smart girl that was actually cool. Painfully awkward, taller than everybody, skinnier than everybody, shy, with big glasses and bad skin… I was that kind of nerd. Reading was an escape into the worlds that Beverly Cleary and Laura Ingalls Wilder created. A little later, I discovered Nancy Drew, and Boxcar Children, and Narnia. After I’d exhausted the entire “kids” and “young adult” sections – at an age that was absolutely inappropriate – a friendly librarian (in my very white hometown) took pity on me, and introduced me to section with Eric Jerome Dickey, and Omar Tyree, and Terry McMillan, etc. That’s where the idea that black people had stories outside of slave narratives and sad tales of the deep south became real for me, and made me want to create my own — at 15 years old. I was such a baby, and really thought I knew something because of Tracy in Flyy Girl. In my first failed attempt at college, I studied English. In my second failed attempt at college, I studied business. And then, it clicked for me that college doesn’t work for me. I was good at it, but incredibly bored, and stressed to the point that I started having anxiety attacks. It was during this second stint that I self-published my first book, Love and Other Things. I don’t know that I was really expecting anything to happen. I just had a story to tell, and I wanted people to see it and tell me what they thought, just like my high-school classmates passed around the dark green folder I hand wrote my first “book” in, and stopped me in the halls to talk about it. The book ended up receiving an amazing reception, and that was the first time in my adult life that I thought maybe I should actually pursue writing. Not only did I have a passion for it — people thought I was good at it. It’s one thing for you to be feeling yourself, a whole other thing for anyone else to agree. 2. You have two young children, you work as a graphic designer and you’re extremely prolific. How do you keep writing a priority? I actually no longer work as a graphic designer. I gave that up to focus on writing full time — which kinda answers the question about keeping writing a priority. I love writing, and would keep doing it even if I never got paid. But… I do get paid, so I treat it as if it’s a job. My little girls are two and five, so they’re home with me now. Typically, I don’t get much writing done during the day, because I’m pouring sippy cups of water, fixing snacks, having tea parties, building towers, etc. But there are many days that once my husband gets home, mommy taps out and retreats into the writing cave. It’s a rarity for me to get eight hours of sleep, because often I’m up until two or three AM, writing. I have a terrible schedule, and don’t recommend it, lol. 3. Name one thing that has helped you pursue your writing dream? Good friends. Hands down. Most of whom I’ve never laid eyes on in person. Amazing women I’ve met through blogging, Twitter, Facebook, who have encouraged and supported me through the times I didn’t feel good enough. They have pep talked me, “gotten me together”, and helped me along the path to build the confidence that is very necessary in order to not become a nervous wreck in this industry. 4. How long does it take you to complete a novel? A little earlier this month, I completed and published my tenth book. I don’t have a certain formula for how long it takes me to finish a book, I just write until the characters have said everything they want me to know. My books are considered “short”, ranging from 50k to 75k words, and I try to keep on a pace of about 3-4k words a day — as long as I’m not feeling like I’m forcing it, in which case I’ll step away, and possibly work on something else. So, with that in mind, if all days are “good” writing days, I can complete 75k words in 25 days. So we can call it a month. I’m almost positive that sounds crazy, but hey, it works for me! 5. It is sometimes said that there’s a snobbery against romantic writing. Do you agree? 6. Why did you decide to go the self-publishing route over traditional? What have you found to be the advantages and disadvantages? There really wasn’t a decision process. Before I self-published, I never seriously considered going traditional. I looked into a few publishers, but the six-month wait time just to maybe get a yes or no was a major turn off for me. I just wanted to get my book in front of people, and Amazon had the solution. The only real advantage I see to traditional vs self-publishing is in exposure. Big publishers have the ability to get your name in front of a lot of readers, but unless you’ve found whatever magic formula gets certain books the big deals… you don’t really make any money. You get an advance — which is typically a whole lot less than what people think you would get paid for a book — and then a teeny tiny royalty on whatever books are sold after you’ve basically paid back the advance. Most books don’t earn enough to cover it. Oh, and there’s the acceptance to sit with the cool kids. There’s absolutely a stigma against indie authors, that we chose this route because we couldn’t hack it in the publishing industry — not true. Some — I would actually venture to say many of us just aren’t interested. Funny story: I had an editor from a major publisher reach out to me, because they were looking for authors to add to their brand. I was very excited, because it was a brand I thought I wanted to work with. We communicated back and forth, but I found that editor to not be very responsive, even after I was asked for my ideas about a three book series. It would take weeks to get a response, and sometimes I just wouldn’t get one at all. And they reached out to me. The hell? If that’s the type of treatment I should expect from a company that I’m making money for — because I certainly wouldn’t have been making the money — I’ll politely keep my ideas to myself, keep my 70% royalty from Amazon, and not be annoyed because nobody could be bothered to return a correspondence. These days, my own reading list is almost exclusively indie, for a reason. The indie author has nothing to prove to anyone, doesn’t have to answer to anyone, doesn’t have to follow any formula. They get to tell their story their way, without a million hands in the pot, pulling at this, tugging at that, until the story is a watered down version of their original vision. That, to me, is the absolute biggest advantage of self-publishing, and outweighs every con I can think of. As an indie author, you’re out in the wild. You’re responsible for everything. There’s no designer, no team of editors, no marketing squad. You have to do every little thing yourself. But… I like to think of it as getting to do every little thing myself. 7. How do you decide on your book jacket designs? Is it your work or do you commission other designers? Oh, I agonize over cover design. That’s what I work on the “bad” writing days. I spend hours sifting through stock photos, more money that I should on font licenses, and tons of creative energy making sure I come up with a cover that feels right for the story. I do all of my own design work for the covers, even the illustrated ones – which I’m itching to redesign. The cover design process is very, very personal to me, and it’s one aspect that I don’t know if I could ever relinquish control of. 8. Do you read your reviews? Do they influence your work at all? I read every single review I get, and they absolute influence my work. The nasty, borderline incoherent ones make me laugh. The nasty, negative, hyper-critical ones make me curse out the reviewer in my head, then text/call/inbox my homegirls so they can tell me to stop being silly. And then I read it again, and pull out the usable critique to improve my writing. The middle of the road ones honestly terrify me, because who wants people to feel “meh” about the work they’ve put precious hours of energy into? The positive ones make me smile, and brighten my day — especially when they include critique on the things that didn’t work for them, but do so in a way that lets me know they respect me and my craft. And man… the long ones that rave about the project, and give all kinds of delicious little details about what they enjoyed about the book, and why… those are the best. And this doesn’t mean that it’s necessarily a five star review, just that it was enjoyable enough for them to take time out to expend words letting me know they liked it — that will easily give me the energy to write a whole chapter! 9. Who are your favourite writers? Pretty much the same big names that everybody knows and enjoys, but I’m going to take the opportunity to shout out some fellow black indies that everybody should be getting to know, if they don’t already! Love Belvin, Danielle Allen, Nia Forrester, Britni Danielle, Te Russ, Jacinta Howard, Adrienne Thompson, Perri Forrest, and Erin Ashley Tanner. All extremely talented authors, in various subgenres of Multicultural romance. 10. Do you have a favourite among your books? I do. 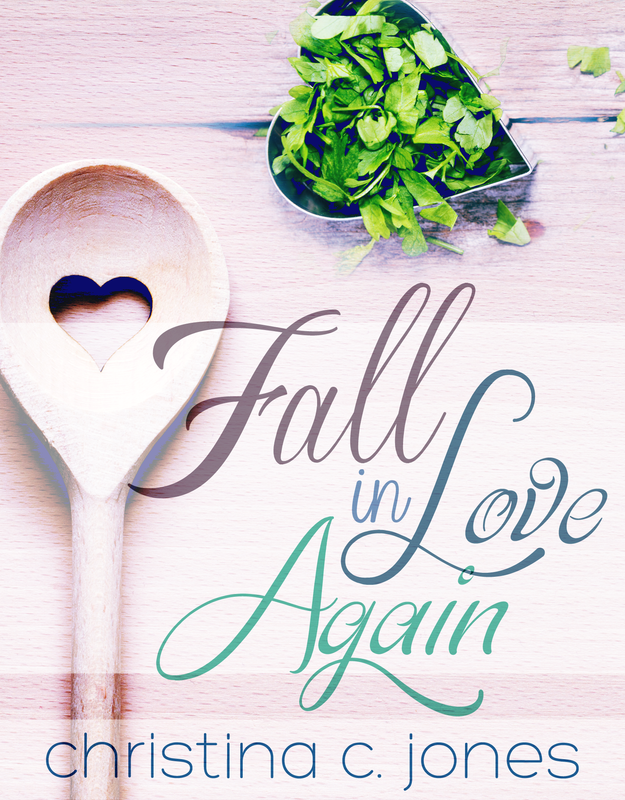 My personal favorite is the project I just finished, titled Fall In Love Again. It’s the third book in the Serendipitous Love series, and follows Charlie and Nixon as they move toward rekindling a relationship they both assumed lost. It has drop-ins from previous characters in the series, introductions of new characters to continue with. I had a lot of fun — and a lot of headaches — writing this book. It’s also book baby #10, so it’s special to me! Christina Jones is a budding author on a mission to show the beautiful — but not always pretty — journey of love in all stages, with a focus on people of color. 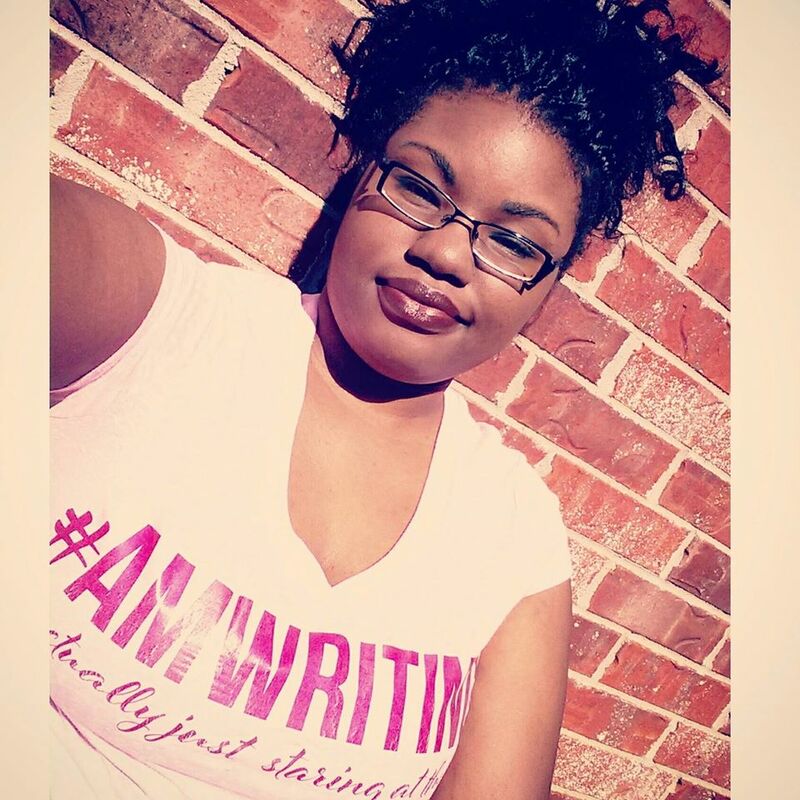 When she’s not immersed in writing it, Christina is an avid reader of her favorite genre, African American romance. I’ve been stalking Christina because it’s so nice to come upon an indie writer that thinks the same way I do. I tried the trad publishing route very briefly but really discovered it just wasn’t for me. I want my story out there… an Agent is interested in what he or she can sell…I’m rather enjoying doing everything myself and maybe I will query a different novel but for right now I like the process. I am wrapping up the Serendipitous Love series and then I am going to go back and read her backlist! The modern book landscape really does give writers room for maneuver and Christina is a great example of how writers can leverage tools and technology and distribution channels. Plus she’s a crackerjack writer. I’m glad you’re enjoying the indie route for now, and like you say, you can always pursue traditional opportunities when it suits you. Thank you so much for hosting me! These were really, REALLY great questions, so it was easy to answer them! I love this interview! Such honest and detailed answers to questions that I needed answers to. And thanks for the shout out to indie authors! It ain’t easy out chea in these streets. I always knew that one day nerds would rule the world. We run this! Thanks Faith. Christina is such a great person to interview, so full and forthright in sharing her experiences. And clearly a person who doesn’t leave for tomorrow what she can get done this very second, she sent those answers back within a few hours. I’m really looking forward to exploring all the writers she recommended. The writing sisterhood is a beautiful thing.